MAIN POINT: Material things are like drugs. They fill us and lock us in with an insatiable addiction for more things. Materialism makes us think that MORE is BETTER. It tells us what we have is NEVER ENOUGH. Break Free! Let contentment be the lubricant to free us from the jaws of Mammon, into the arms of God. What are these messages telling us? They tell us this world is not enough. Last weekend marks the traditional start to the Annual Christmas shopping spree. 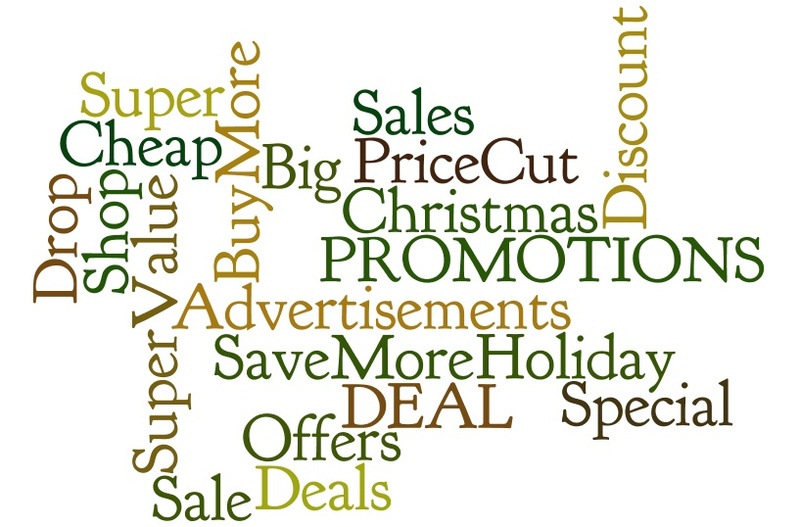 Almost every day, there is a sales event going on somewhere, especially online. There is a Black Friday Sale on the 26th of November, the traditional big sales event after Thanksgiving Thursday in the US. Through the weekend, the sales continue with dramatic commercials and advertisements. Even Canadians are enticed by these glitzy American deals South of the border. The deals are getting ever more creative, making people buy more of what they already have, and more of the stuff they don’t really need. Even Christian retailers are hopping onto the bandwagon, selling books and all kinds of Christian-themed memorabilia. Then, there is the Cyber-Monday sales event, which anybody around the world can shop with a credit card and an Internet connection. Unfortunately, in rich societies, great sales events are often temptations to store up more stuff that we do not really need. Think about it. How many times have we given in to impulse buying? How many things are accumulated in our storerooms, and considered misplaced when we fail to find them? Are we buying out of a real need, or simply because there is a sale going on? What has contentment to do with Christmas shopping? 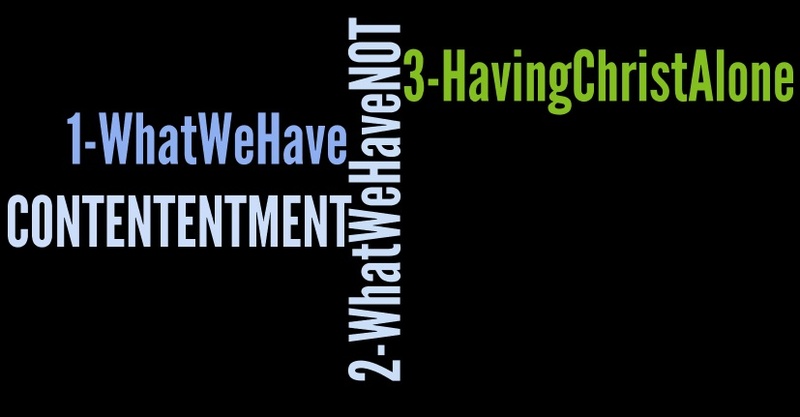 More importantly, how does contentment play out in the lives of Christians? 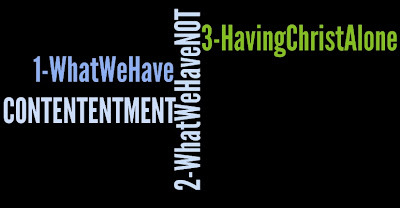 I will be suggesting a three-leveled approach toward contentment in Christian spirituality. 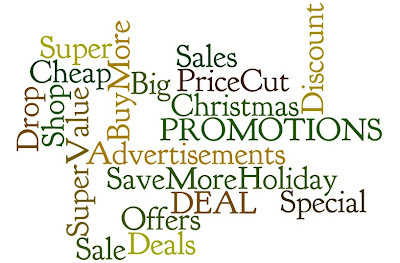 Then I will make some recommendations about our buying behaviour, with Christmas shopping temptations in mind. I have been thinking of a terrific deal recently. A 2TB computer hard disk is being offered for sale at a mere $69 bucks. That works out to be 2000 GigaBytes of computer storage at 3.5 cents per Gigbyte! Just a few years ago, we were talking about dollars per Megabyte. Now, we are talking cents per Gigabyte (1GB is about a thousand MB). I have to pinch myself to resist this deal. After all, I have ample storage inside my computer right now. Yet, the thought refuses to go away. It is hard to develop contentment in this materialistic world we live in. Moreover, the deals keep appearing in our radar. This is the shopping problem, the problem of a disguised discontentment, simply because we have too much opportunity to spend. The problem with materialism and dissatisfaction is also a struggle we all have with Money. Money is an important part of life. It is highly efficient and fair way to do transaction. Historically, before money was invented, people barter goods, sometimes at weird equivalents. For example, five chickens for a cow. What about size? What about gender of the animal? What about age? There are too many factors that threaten to disrupt the tricky and precarious equivalents. Perhaps, the desperate party is usually the one who tends to give in. "Content makes poor men rich; discontentment makes rich men poor." Remarkably, American society nowadays while considered rich materially, is ironically proving Franklin true in many ways. Think of it this way. If one is already contented with what they have, why do people throng shopping malls and jacking up huge debts on their credit cards? The first secret of contentment is to be satisfied with what we already have. This leads us to our next challenge, to be content even when we do NOT have. In the parable of the Rich Man and Lazarus, note the huge divide. The Rich Man had everything while on earth, while Lazarus has practically nothing. Yet, even in death, the Rich Man is never satisfied. He continues to ask for things, albeit for his descendents. The difference is stark. Lazarus when he was poor, longed to ‘eat what fell’ from the table. The Rich Man on the other hand starts begging for relief. Lazarus long. The Rich Man lust even after death. The difference lies in their inner hearts. What is most striking is in the way Jesus calls Lazarus by name, and the Rich Man remains unnamed. Is ‘Rich’ the firstname or lastname of the wealthy man? This is an astonishing finality to a person sold to Money and Riches. His wealth has usurped his very own identity, so much so that he has not only lost his own identity, he allows MONEY and RICHES to become his very precious identity! Like a parasite, money can start controlling our soul. Those of us coveting after things we do not have, beware. We can become the very things we lust after. Proverbs talk about lusting that reduces humans to a loaf of bread. Our race after material things, our careers, our precious possessions, our Money could very well shrink us down to these things respectively. We need to fight them. Yet, we cannot remain stuck in this stage. Even if we can deny ourselves adequately to be content with or without certain things, our spiritual journey is not complete. There is one more level: Contentment in Christ alone. The Samaritan Woman at the well is an amazing display of grace and sufficiency. In John 4, Jesus invites the woman toward drinking water that gives life. By lowering the standards of entry to a triple downgrade (in that culture), that is, a woman, a Samaritan, and a woman living in sin, Jesus is welcoming the least of the least, and enlarging his net of salvation to all. His ‘whoever’ is extended to all who will willingly come and drink of the water Jesus offers. This small gulp of water will quench past, present and future thirst. This mini lapping of water will satisfy the soul. This drinking of the water of hope will reduce our dependence on what the world gives, and enlarge our capacity to let God be enthroned in our lives. When we learn to say Christ is sufficient, we are truly free. Imagine this. Shall we come to God fully clothed with our worldly tuxedos? Do we come to God via our BMWs of speedy achievements or to show God our fat bank accounts? Should we enter into heaven with our huge storehouses of possessions? Will God be pleased with that? In our culture, we are being indoctrinated with more being better. If we have a car, a bigger car is better. A bigger TV LCD screen is better. A fatter bank account is better. All of these are based on the premise that more is good and better. Even among Christians, we replace the desire for accumulating things in terms of excellence. This is a grave deception. Be careful that our acts to want to improve become acts of collecting material goods, instead of using them for the betterment of our relationships. Is more better? Then why are many rich people unhappy? “I can see. I can hear. I can walk and I can talk. When I am all finished here, I can go straight up to heaven.” With a smile, she leaves singing praises to God. Wow. Such an attitude is priceless. Godliness with contentment is great gain. It begins with the heart. It leads one to be contented with or without material gains. It pushes us toward becoming contented in Christ alone. It helps us to be thankful for what we have, to be trusting God in what we do not have, and to cleave to God in Christ alone. Perhaps during your moment of temptation, sing the following chorus. On that 2TB computer drive, I think I do not need it. It shall have no ‘byte’ on me. Bye drive, bye! Thought: Are you contented? Will more things make you contented? Beware the tyranny of more 'things.' They create addiction. Seek Christ, and learn to live in contentment in Christ alone. p/s: Next week, I'll provide some thoughts on shopping. Stay tuned.